I recently just met Dan and Lisa Soltis, a couple that makes jewelry together here in Los Angeles. Their line is called LAS jewelry and I’m really drawn to their metalwork pieces that feature animal skulls and carcasses. That might sound a bit macabre, but the pieces actually have a beautiful Desert Hunter feel to them. Using his talents as a 3-D sculptor, Dan wax carves saber tooth tiger, crow, gazelle, longhorn cattle and wolf skulls which are cast in white bronze, oxidized bronze and silver(all recycled metals). Lisa and Dan draw their inspiration from natural and organic subjects spanning from their love of animals and anatomy to old biological and scientific illustrations. 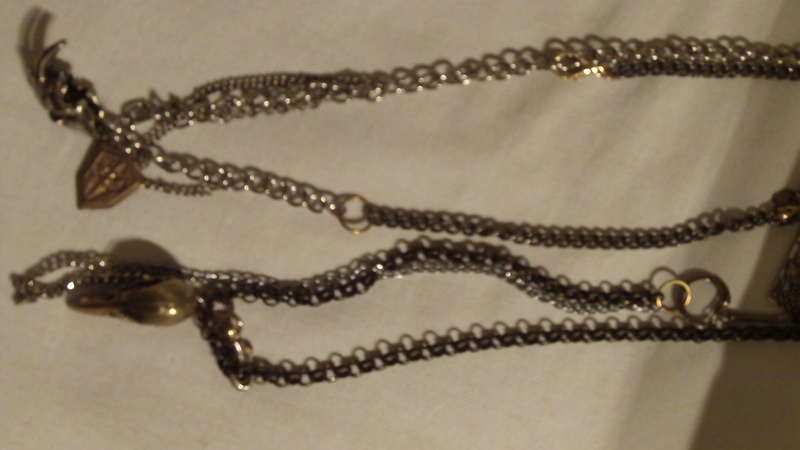 All of the metal pieces integrate mixed vintage chains and charms for their stamp on time. Each piece is made uniquely and no two pieces will ever look the same which is something they both feel very strongly about in their designs. 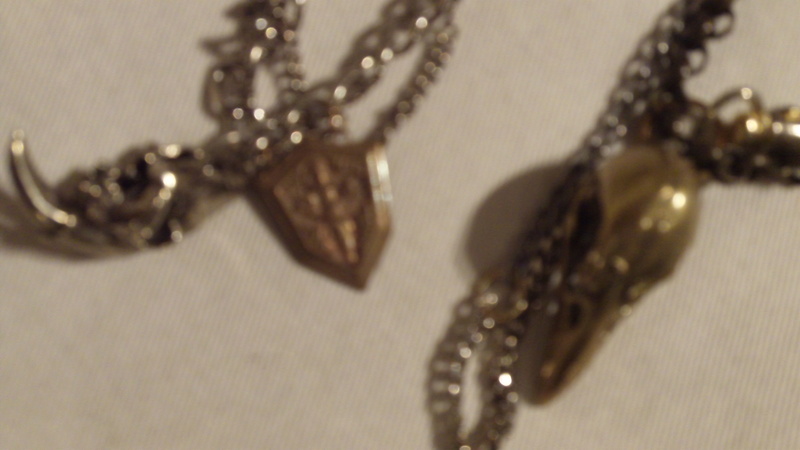 I especially like their animal skull rings. 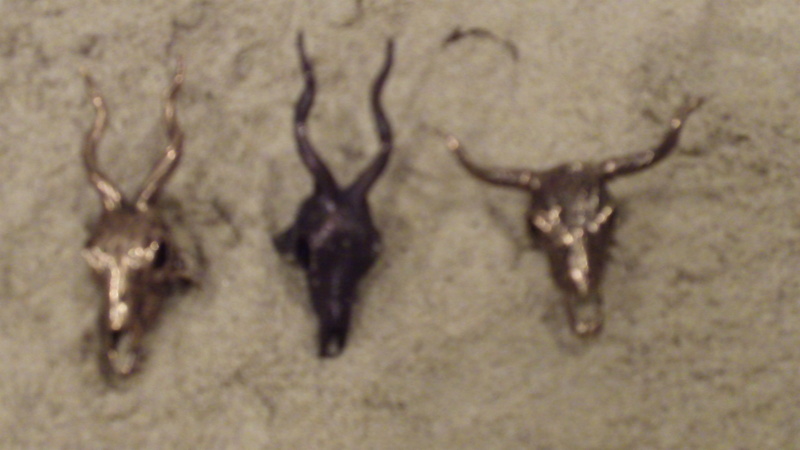 The Longhorn and the Gazelle are my favorites. I would like to wear several different animals at once. They would all be of different metal variations and I would pair them with multiple textured dainty gold/silver rings. I like the combination of soft elements with these pieces. Although this jewelry reminds me of similar artists such as Pamela Love, there is something about this line that doesn’t feel as commercial as her stuff, which I like. These pieces have a little more character and must be worn by a bolder personality. Don’t get me wrong, I like Pamela’s work, but I will admit her crow claw’s scare me a bit. I want to wear the pieces with a Gypsy Bobo kinda look. Sort of Desert wanderer mixed with a Gypsy flair. I would wear a few of the rings at once on both of my hands. 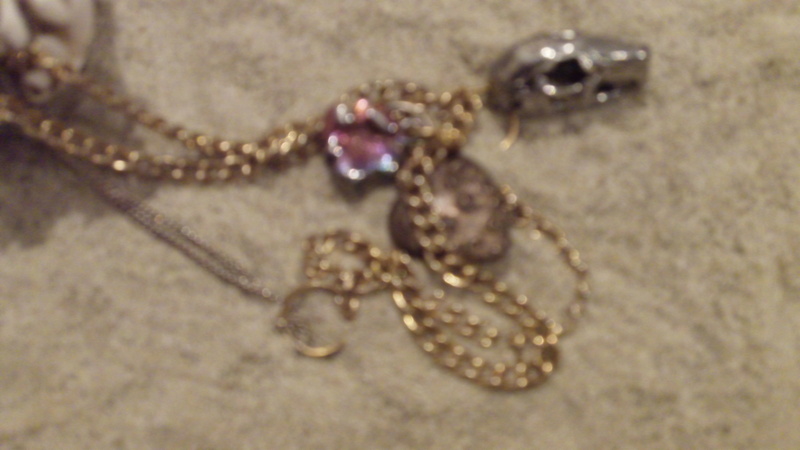 And I would wear mixed gold, silver and ethnic colored bangles…and throw on a few of the skull necklaces as well. 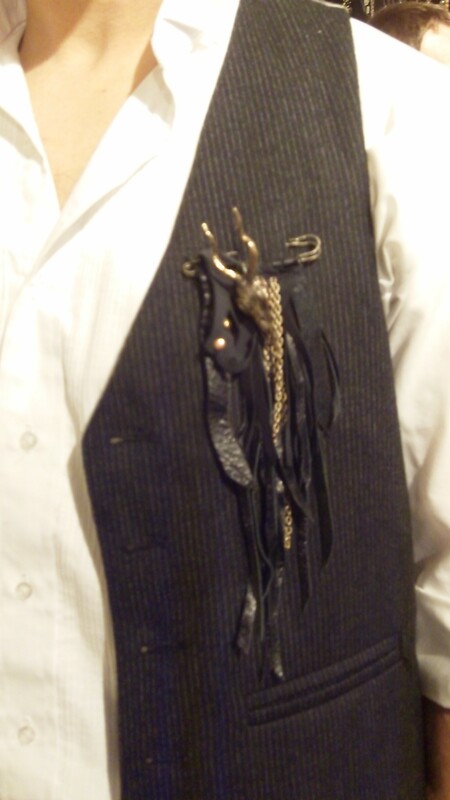 I also liked this broach that Dan was wearing…I like a man that is bold enough to wear a broach. But I would wear it pinned on the white ADAM dress above. I just want to mention I’m very new to bnggoilg and actually savored this web page. Very likely I’m want to bookmark your blog post . You actually come with good posts. Thanks a bunch for revealing your blog.